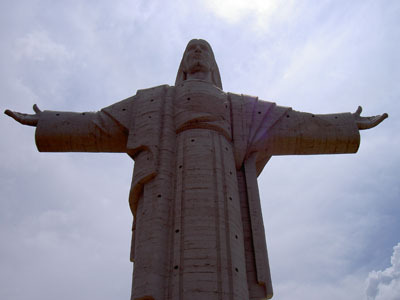 The Cristo de la Concordia statue, built in 1989, forms one of Cochabamba´s most important and prominent landmarks. 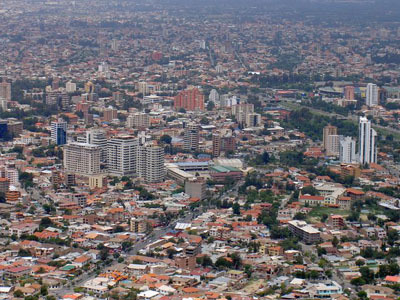 This ambitious project was carried out by the Catholic Church with support from diverse sectors. 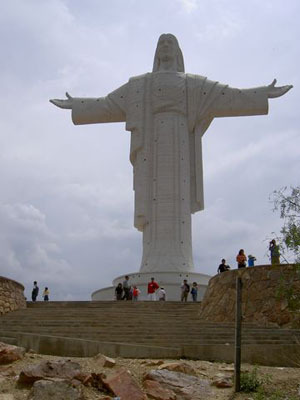 Cochabamba´s Cristo is the tallest Christ statue in the World at 33.40 meters (109.58 feet) and is an immense structure that represents Cochabamba´s hospitality with its outstretched arms. 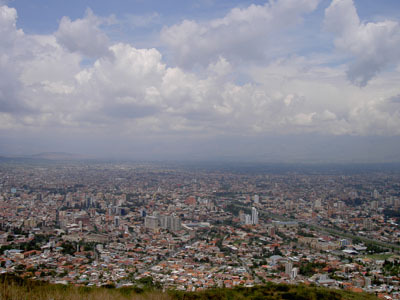 Apon climbing up to the Cristo´s hilltop visitors can enjoy sweeping views of the Cochabamba valley, the city itself, and of nearby municipality Sacaba. 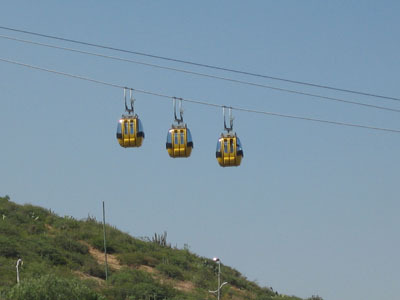 A Gondola called el Teleferico ascends to the statue from a park in the city, making this grand statue easily accessible to all visitors.